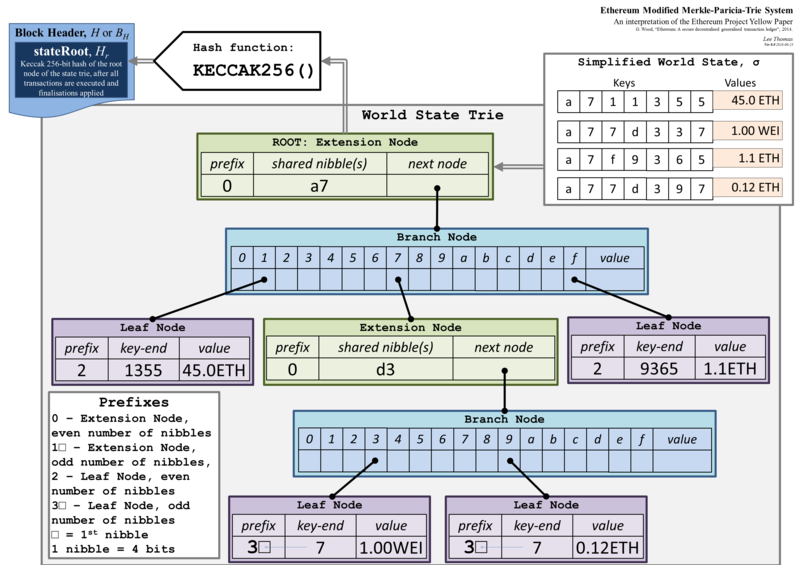 I understand that Merkle tree are Hashes of Hashes, they have the advantage that you can verify only a subtree. But what about Patricia? What does a trie mean? And how is it used in Ethereum? 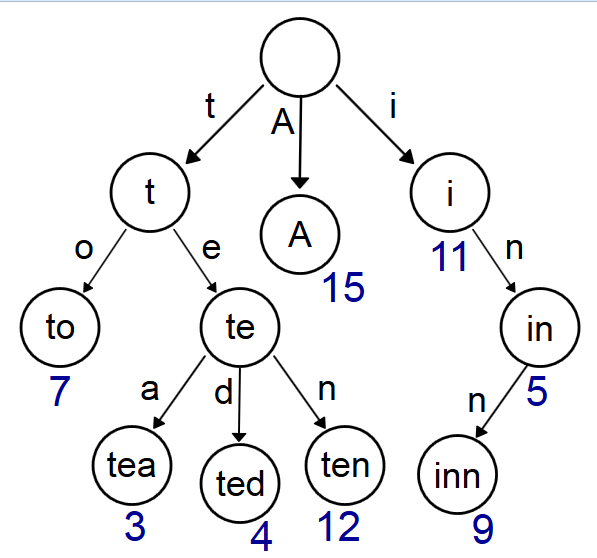 A trie for keys "A","to", "tea", "ted", "ten", "i", "in", and "inn". Patricia - Practical Algorithm To Retrieve Information Coded In Alphanumeric (source)(orginial paper by Donald R. Morrison). A Patricia trie is a binary radix trie - binary choice at each node when traversing the trie; this is modified in Ethereum. In ethereum, hexadecimal is used - X characters from an 16 character "alphabet". Hence nodes in the trie have 16 child nodes (the 16 character hex "alphabet") and a maximum depth of X. Note a hex character is referred to as a "nibble". 'Trie' comes from the word retrieval, since it only uses the prefix of a word to find it in a dictionary. 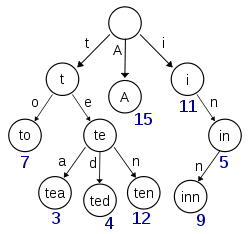 It is an ordered tree where the keys are usually strings ending with a terminal symbol, and each vertex represents a prefix. 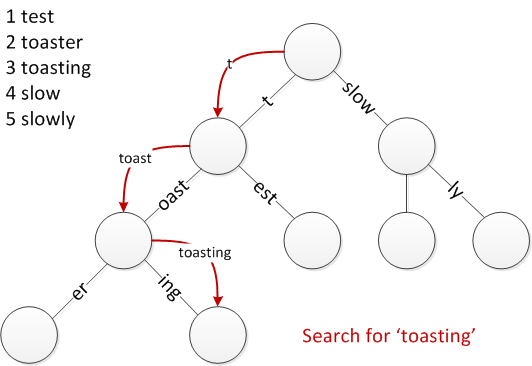 The root of a trie is usually an empty string, as we can see in the diagram taken from wikipedia. For more information about the difference between a trie and a radix (Patricia) tree. Not the answer you're looking for? Browse other questions tagged blockchain patricia-merkle-tries or ask your own question. How to list accounts / addresses? How eth_getStorageAt works when block option is not “latest”? How could Solidity 0.5.0 dynamic sized parameters be declared as storage? Why are keys hashed in Merkle Patricia Trie? Why Merkle-Patricia Trie has three types of nodes?